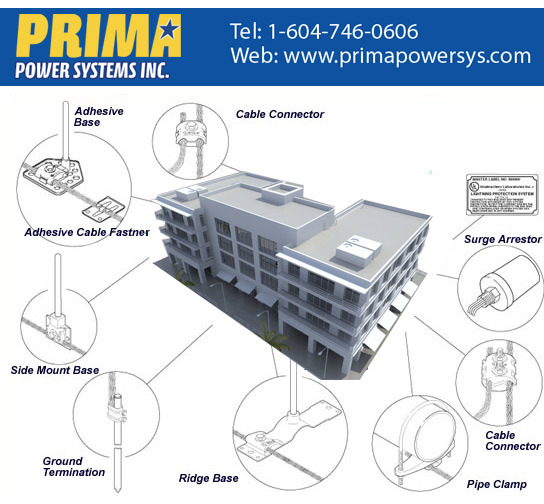 Lightning Protection Package - Prima Power Systems Inc.
Save thousands of dollars in electrical and asset damage. Whether your business is Agricultural, Commercial or Industrial, most buildings are vulnerable to damage resulting from a lightning strike. The uniqueness of architecture demands that every commercial lightning protection system be custom designed to ensure proper protection. At Prima, we offer a Lightning Protection Packages to ensure your building is protected from lightning strikes. Prima’s Protection Packages are a specialized service and is governed by strict standards and installation codes. 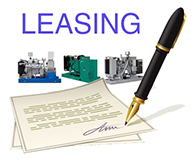 To ensure that your business is protected correctly, contact the certified and licensed lightning protection package specialists at Prima Power Systems Inc. With over 30 years of expertise, Prima can design a commercial lighting protection system that protects your facilities from harmful lightning strikes and power surges!